A great way to use all your old fruit. 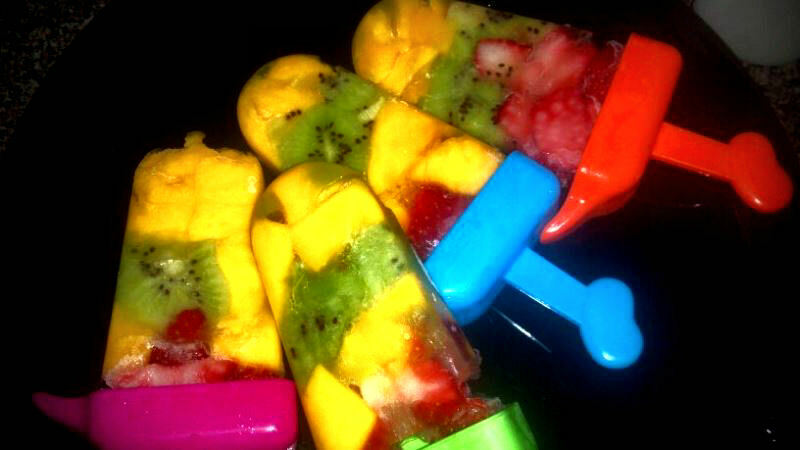 A layer of mango, a layer of kiwi and a layer of strawberry. No coconut water added, this is all pure fruit. Be sure to really squish it in there so there won’t be any air pockets. Freeze and eat! They taste great, and the mango never fully freezes because of its texture, so it adds a great variety to the different layers.